Give me that loot and XP! There will be more to Sacred Citadel than meets the eye. 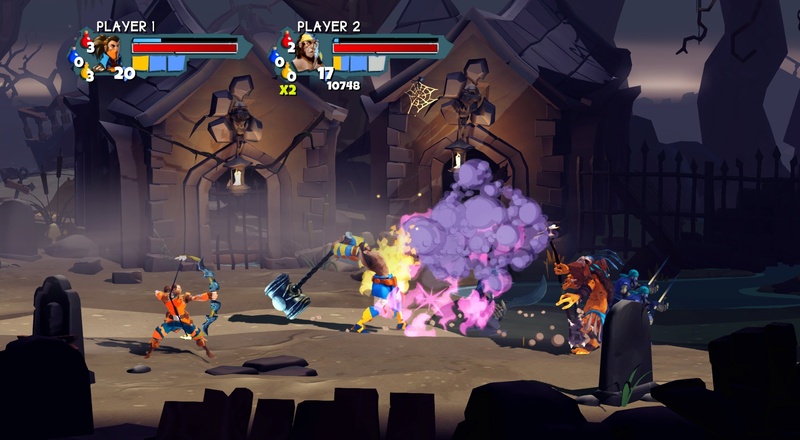 When we first played the side-scrolling brawler at PAX, I astutely noted that we "pretty much just smashed buttons and killed dudes," but RPG elements like loot and leveling will play more of a roll than I initially thought. 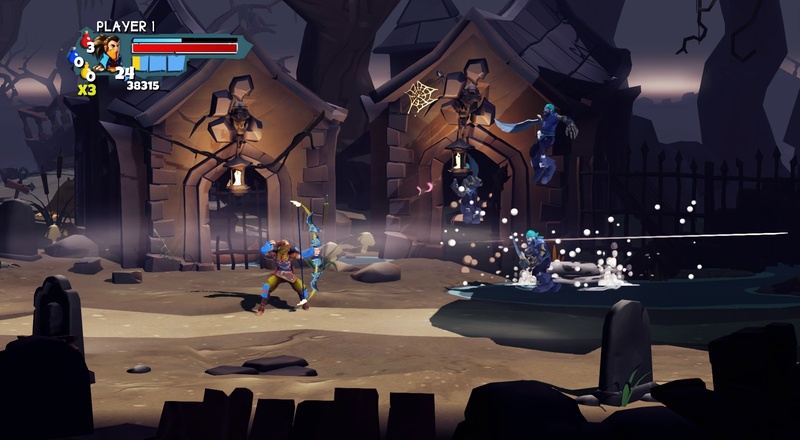 Three players will be able to choose from four different character classes, each with their own special abilities. The three initial character classes are made up of the usual suspects: There's a burly warrior, a ranged archer, and a nimble wizard. 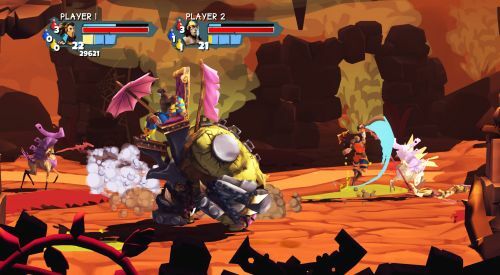 Each character will be able to use several different weapons, ranging from massive hammers and punishing longbows to dual hatchets and a magical drum. (Don't knock it --it seems to get the job done.) There's also a fourth mystery character. Everyone loves a little mystery, right? Each character will gain new abilities as they level up, directly impacting the roll they play in the game. Sacred Citadel supports three player local co-op and three player online co-op. It will be available later this year through the XBLA, PSN, and PC digital download services.